LG just announced plans to expand its Minibeam series of projectors at CES 2016. These projectors will debut next month at the Consumer Electronics Show and are a series of three new projectors in the Minibeam series. 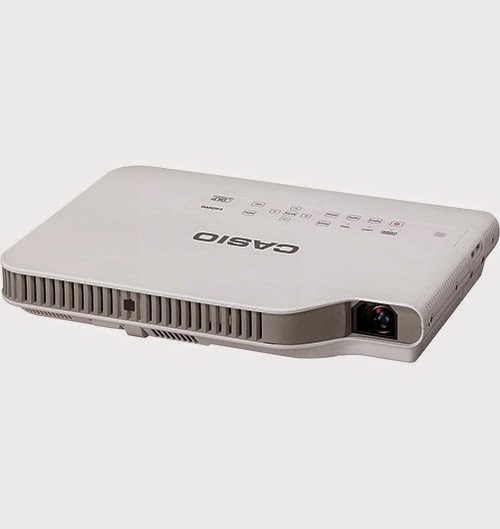 The models, which are the PH550, PW1000, and PW1500, feature Bluetooth and WiFi connectivity and improve on the one-hand grip design of the older Minibeam projectors while also featuring a slimmer profile for increased portability. 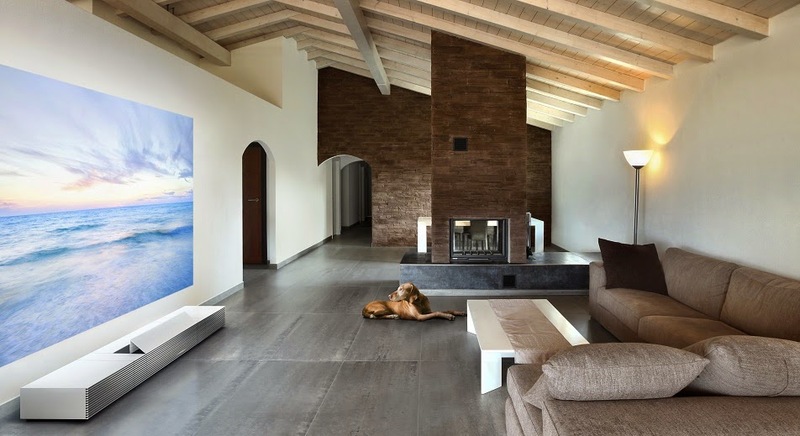 According to Brian Kwon, President and CEO of LG's Home Entertainment Company, "With more variety than ever before, LG Minibeam projectors offer enhanced portability with wireless connectivity for an enjoyable viewing experience anytime, anywhere. We look forward to officially unveiling the newest LG Minibeam series at CES 2016." The compact PH550 eliminates the need for any and all wires thanks to its triple wire-free connectivity. This feature gives you the ability to send content from their smartphone or tablet to the projector via WiFi mirroring-enabled Screen Share. In addition to that, you can also connect speakers wirelessly through Bluetooth and even unplug from the wall for 2.5 hours of viewing using the rechargeable internal battery. All of these features give you a new level of connectivity and freedom and, despite the small size of the PH550, this projector is the brightest among LG's battery-powered projectors at 550 lumens. If you are looking to get the best picture quality, then the PW1500 is your projector. It has the ability to render images at 1,500 lumens, which makes it the brightest projector in the entire LG Minibeam series. This projector is perfect for things like slide show presentations to theater-quality movies and is ideal for anyone who consumes a plethora of content. The PW1000 offers all the features of the PW1500 though at a lower lumen output and at a more competitive price. These aren't the only things that LG has up its sleeve. Another key projector is the company's Ultra Short Throw LED Home Theater Projector, the PF1000U. This projector was honored with a CES 2016 Innovation Award and is a versatile HD projector with a 1,920 x 1,080 resolution and 1,000-lumen brightness that affords you clear visibility, sharp contrast, and rich blacks even in environments with lots of ambient light. The PF1000U features Ultra Short Throw Technology (UST) and is able to project a 100" picture from only 15" away from the wall or screen. 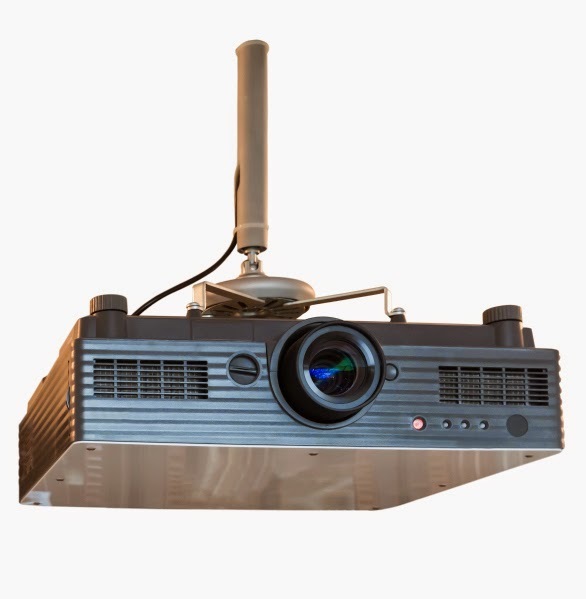 You no longer have to worry about installation or walking in front of the projector beam, which makes this projector perfect for conference rooms or offices. The PF1000U is also the world's first UST projector to weigh less than 4.85 lbs and, even with its Full HD resolution and 1,000-lumen brightness, it only consumes about a third of the power that competing projectors do. If you're a consumer, this projector gives you the most convenience while also providing you with excellent picture quality that is as good, if not better, than a lot of TVs. The new, 2016 Minibeam models from LG are planned to be introduced in the United States and key European markets in the first quarter of 2016. The Ultra Short Throw LED Home Theater Projector is currently available at U.S. retailers and all models will be on display at LG's booth at CES 2016, which will be taking place from January 6th through the 9th in Las Vegas. Ever heard the term HDR-compatible? Ever wonder what that exactly means? Well, wonder no more! The Consumer Electronics Association (CEA) has finally announced an industry definition for an HDR-compatible device. HDR is but one element of the fast-growing 4K Ultra HD display devices, which allow for increased range of brightness and contrast. The CEA partnered with manufacturers, content providers, and distributors in order to develop the list of voluntary guidelines in an attempt to make it simpler for retailers and consumers to identify HDR-compatible displays. Even though no official HDR logo was announced, it is expected that there will be one in the near future. The CEA announced that the industry definition for HDR (High Dynamic Range) compatible video displays. This new designation is designed to assist retailers and consumers in identifying products that incorporate this interface and processing technology. HDR promises to deliver an expansive range of brightness and shadow detail, which further enhances the viewing experience. According to the CEA, "HDR provides a significant step up in delivering an incredible viewing experience for the consumer." Senior Vice President of Research and Standards for the CEA Brian Markwalter added, "We encourage manufacturers and our industry partners to use this voluntary compatibility guideline to provide greater consistency and clarity while ensuring compatibility and interoperability across the full content development to display ecosystem." • Includes at least one interface that supports HDR signaling as defined in CEA-861-F, as extended by CEA-861.3. • Receives and processes static HDR metadata compliant with CEA-861.3 for uncompressed video. • Receives and processes HDR10 Media Profile* (see below) from IP, HDMI or other video delivery sources. Additionally, other media profiles may be supported. • Applies an appropriate Electro-Optical Transfer Function (EOTF), before rendering the image. "CEA's leading role in defining HDR-compatible displays complements the work of other organizations, such as the UHD Alliance, that are reportedly developing HDR-related performance parameters and guidance for the video content, distribution and hardware ecosystem," Markwalter added. Remember when Pico Projectors were all the rage? The idea was simple. Let's create a projector small enough for you to take anywhere and project things whenever and wherever you wanted. The idea was so radical and interesting that it caught on like wildfire. Even smartphone developers were creating phones with Pico Projectors built-in. It seemed like this was the future of projector technology. However, it didn't quite turn out the way that many people had hoped. Sure there are a ton of Pico Projectors still on the market these days but the idea is more of a niche product than anything else and, to make matters worse, it doesn't seem like the next generation of iPhones or Galaxy phones are going to be coming with built-in projectors. But that doesn't mean that portable projecting is dead and gone. Take the Touchjet Pond, for example. This device is taking the opposite approach to Pico Projectors by instead packing all the functionality of an Android device into a projector, including a touchscreen. The idea originated as an Indiegogo campaign last year and the very fist product is now available for shipping for $599. 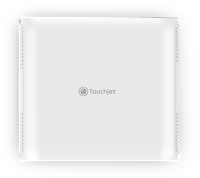 According to Touchjet, the Pond is the very fist consumer device that allows you to create a touchscreen out of literally any surface. The device is capable of projecting a screen size of up to 80" diagonally with a resolution of 854x480. You do have the ability to produce a larger screen but the 80 lumen output of the projector dims the picture significantly beyond this point. The projector itself is entirely made of plastic, keeping weight down to just 9.6 ounces. Connectivity ports include a Mini HDMI and micro USB ports in addition to a headphone jack, in case you don't want to use the internal speakers which are, needless to say, rather small. On the inside the Pond comes with a mid-range dual-core processor, 2GB of RAM and 18GB of user-accessible storage. While these specs aren't necessarily on the high-end they are more than capable of producing smooth performance and a lack of dropped frames. There have been reports of the device freezing, causing it to have to be powered off and powered back on. The storage is also non-expandable, which could be a deal breaker for some people. To interact with the touchscreen display you will need to use one of the two included styli. The styli shine an infrared light that the projector tracks. In addition to that, they are also pressure sensitive, making them very useful for text and drawing. They are also made of metal instead of the projector's plastic, making them feel a little more sturdy in your hand. 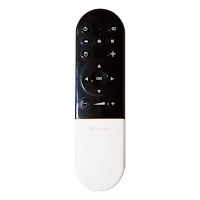 The Airmouse, which is the included remote for the Pond, doubles as a pointing device, allowing you to navigate around Android with the directional pad or switch to mouse mode to track movements in the air. $599 is a bit of a hefty pricepoint for this type of projector so, at this point, it's hard to tell how successful the Pond will be. The small size makes the projector very portable and convenient and is easier to carry around than a laptop or a tablet. The display quality isn't the absolute best but the portable Android touchscreen capabilities do have merit for people like teachers and families. If you have the money to spend and actual, practical uses lined up then the Pond from Touchjet could be a very useful little projector. While HDTVs still hold the dominate position as the leading technology in home entertainment, projectors are quickly becoming more and more popular. Using a projector, especially an HD projector with similar specs as an HDTV, allows you to watch TV, movies or play video games on virtually any surface and also cuts down on the space required for a home entertainment center. But what is making projectors even better nowadays is the fact that they are able to keep up with the current display trends of HDTVs. 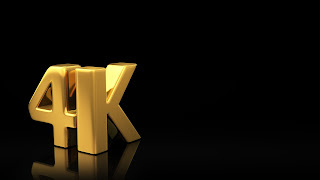 Take, for example, the introduction of 4K displays for HDTVs. Well, projectors are right on top of that technology as well and Sony is offering a 4K projector in the form of the VPL-VW1100ES. Sony is billing this projector as a "premium home theater projector", though "premium" hardly begins to justify the price tag, but more on that later. Of all the companies currently offering 4K projectors to movie theaters Sony is the most well known. However, Sony is also the only projector producer in the world that currently offers true 4K projectors for the home theater market, which means that they pretty much have the ability to set any kind of price they want because there is no other company fighting for consumers at the moment. The VPL-VW1100ES is slightly large for a home theater projector, though it is definitely impressive. It comes with a 2.1:1 motorized zoom lens with power lens shift and focus and also claims to have a ridiculous 2,000 lumen output, meaning that, in theory, you could own a 200" diagonal screen and still have a picture as bright as a typical movie theater. In addition to this, the projector also has 3D capabilities that are impressive and has a decent amount of 4K movies that are available to watch right now thanks to Sony's 4K download service and the optional 4K media player. So if you want the latest and greatest in home entertainment projection technology then the Sony VPL-VW1100ES could be the projector for you, provided you don't need a new car, a new house or you need to send any children to college anytime soon. How much is too much? When will we, as consumers, be satisfied with what we have? The short answer probably never. In the ever growing field of visual technology, developers are hard at work making video devices that have pictures that are so crisp, so clear and so realistic that we will eventually think we are physically in the entertainment we are watching. The latest stab at this venture is 4K technology. 4K is the successor to what most of us have grown accustomed to, 1080p HD, and bills itself as UHD, or Ultra High-Definition. The technology has just recently started to creep into televisions and computer monitors but now even projector companies are getting in on the fun. Back at CES 2014 consumers were given a taste of Sony's first attempt at a short-throw 4K projector that works as perfectly on walls as it does on projector screens. Well it didn't take Sony long to announce that not only is the projector going to be consumer ready this year but also that the US is getting THIS MONTH! In case you are unfamiliar with the technology, short-throw projectors allow you to have very large pictures without having to project the image from across the room. Basically you can set the projector right in front of the wall or screen you want to project on and the picture is big and beautiful. 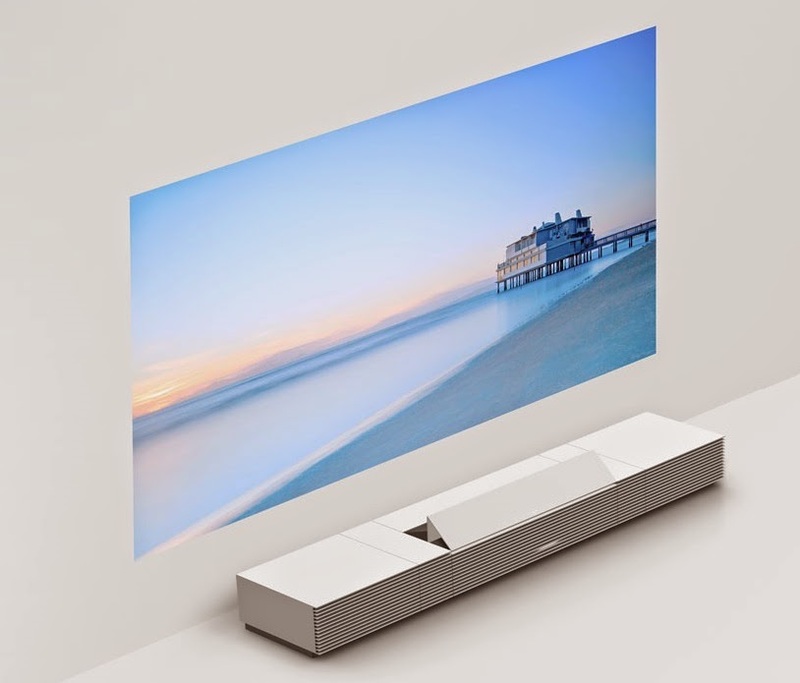 The projector itself, known as the Sony Life Space UX, is a short-throw 4K projector that is housed in a sleek rectangle that looks a lot like a nice credenza, which makes it perfect for living rooms and entertainment centers as it pretty much blends in with the rest of the furniture. The overall premise of this projector is that you will have various projection and display devices hidden in different places of the room allowing you to project pictures onto a multitude of surfaces. There are four different components that comprise the Life Space UX. There's an interactive table-top projection, an interactive metallic wall-panel, a ceiling projector and the incomparable 4K wall projector that is capable of producing a 147" picture from only a few inches away from the wall or screen (I'll give you a minute to wipe the drool from your mouth). Sony's demonstration of the technology suggest that you pair two projectors for optimal effect, though I can't imagine a lot of people would have a use for all these different projections all over your room. Regardless, a single short-throw 4K projector looks to be a nice option if you are looking for a truly high-end home entertainment setup. Do You Need A Projector For Your Next Event? In addition to the Life Space UX, Sony also announced that it will be making a portable version of the projector. This one is said to be easily packed up and taken with you wherever you go and is capable of projecting a 27" picture. However, I'm not entirely sure that there's even a market for projectors that small with that crisp of a picture quality but I digress. If you want the stunning Life Space UX ultra short-throw 4K projector from Sony then you better start saving as this bad boy will run you a hefty $50,000 (Fifty Thousand Dollars in case you thought that was a typo). Touchscreen technology is the newest craze nowadays, entering into literally every corner of the technology market, including projectors. 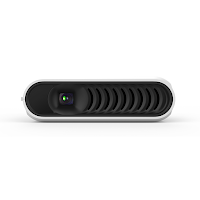 Touchjet originally debuted a concept version of its Touchpico projector at CES 2014. The projector, which is about the size of a phablet, is an Android-powered WiFi device that, according to Touchjet, is nearly ready for production. The TouchPico is about the size of two phablets stacked on top of each other. While it will fit into your pocket it's not a device that you'll forget you have on you. One of the key selling points for the TouchPico is that it had the ability to turn your wall into a touchscreen. Unfortunately, that doesn't seem to be the case. What the projector does do is project an 80" screen on whatever surface you want. 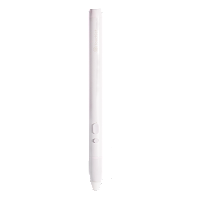 There is an included stylus that has a clicky tip which serves as your touch-device. All you have to do is tap the stylus against the wall you are projecting on and the device sends an infrared signal to the projector that registers your motion. If you attempt to use the picture like a traditional touchpad by using your finger then absolutely nothing will happen. Slava Solonitsyn of Touchjet demoed the TouchPico for Gizmodo, using the projector with a host of different Android apps. Solonitsyn displayed how the mini projector could be used as a whiteboard, a slide stack presentation device or even a big screen for playing games. During every facet of the demo the projector responded to clicks and stylus movement without any noticeable lag, though you do have the hold the stylus in a certain way so that the shadow of your arm doesn't cover the object you are trying to click. Internally, this projector has some good hardware. The TouchPico is packing a dual-core processor running stock Android, which means its essentially a WiFi-only device. In addition to that, it has a 150-lumen lamp and is able to run stock Android apps with no troubles. The touch sensor does not use any CPU power but instead emulates the screen on the go. What this means is that, for the moment, it is unable to do multitouch. The TouchPico also comes with two built-in speakers and a cooling fan that is relatively quiet. Solonitsyn also noted that the projector will last about 45 minutes on battery power before it needs to be plugged in. All the engineering and designing is complete on the TouchPico and now Touchjet is looking to Indiegogo to raise money for the first round of devices. Think of it like Kickstarter with a different name. Backers will get their TouchPico projector for $350 with regular retail price set at $500 once the campaign is over. While that is a pretty steep price for a product like this you have to remember that you are essentially getting an 80" Android device that you can display on your wall and take with you anywhere you want or need to. Glasses-free 3D projection is something that a lot of tech companies, including the Camera Culture Group at MIT's Media Lab, have been working on for the past three years. The idea is to create a glasses-free, multiperspective, 3D video screen. This screen could provide a cheaper, more practical alternative to holographic video in the short run. Well, it seems as if a projector has been developed that exploits the same technology, which the Camera Culture Group will unveil at this year's Siggraph, the biggest computer graphics conference in the world. In addition to that, this projector is also said to be able to improve the resolution and contrast of conventional video, which could make it a nice transitional technology as content producers learn to utilize multiperspective 3D technology more efficiently. Multiperspective 3D is different from stereoscopic 3D in that the 3D objects allow the viewer to move among them, as if actually in the environment. 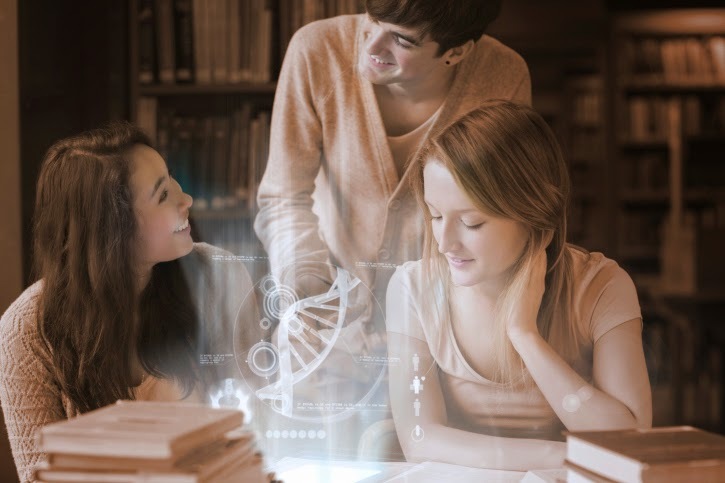 This means that multiperspective 3D could have applications in areas like collaborative design or medical imaging in addition to entertainment. The researchers at MIT built a prototype of their system with the heart of it being a pair of liquid-crystal modulators that are positioned between the light source and the lens. Patterns of light and dark on the first modulator turn it into a bank of slightly angled light emitters. Light passing through the second emitter only does so at a certain angle as a result. The combinations of the patterns that the two modulators display ensures that viewers will see slightly different images from different angles. In addition to that, the researchers also built a prototype screen that widens the angle from which their projector's images are viewed. This new screen combines two lenticular lenses similar to the type used to create rough 3D effects reminiscent of old children's books. Each modulator displays six different patterns for every frame of video, which produce eight different viewing angles. At a high enough display rate, our visual system will combine information from different images automatically. The modulators are capable of refreshing their patterns at 240 hertz, or 240 times per second. This means that even at six patterns per frame, the system is capable of playing video at a rate of 40 hertz. Even though this is a lower refresh rate than what is common in today's HDTVs it is still higher than the 24 frames per second that is standard in films. I don't know how I feel about glasses-free 3D projection at the moment. I've never really been much of an enthusiast for regular 3D. I will say that I like the way 3D movies are doing more internal 3D than external. What I mean by that is that the picture looks more like an open window with the scenes looking like I could walk right into them as opposed to just a bunch of things flying off the screen out at you. This new technology could be the very first step into creating actual holographic projection. What Is The Next Logical Step For Projectors? Lets talk for a minute about something that I've really been wondering about lately. I'm a fan of new and emerging technology just like everyone else is. I love the newest tablets and smartphones just like everyone else. One of the technologies that I see trying to push the limits are projectors. There is literally so much that you can do with them nowadays. The technology is becoming more and more advanced at a pretty alarming rate it seems. We've seen a lot happen in the past year or so alone. It just makes me wonder, where is it going to go from here? I've seen a lot of new technology surfacing for projectors. Whether it be portable, holographic, or interactive, there is no shortage of new features being developed for our projectors these days. The portability of these projectors is something that has always interested me. The fact that we are such a constantly moving society really makes this a very reasonable step to make with projectors. We are always on the go, and it seems like there is never enough time in the day to get everything done. Why do you think more and more types of technology have been becoming more mobile? To adapt to the speedy society we live in today! Our cars are fast. Our food is fast. Our technology is fast. Unless projectors plan to get left in the dust, being portable is something that is a must for this type of tech. That's why when I see projectors attached to phones, such as the Samsung Galaxy Beam 2, it gives me a bit of hope. The only thing with these projector-infused smartphones, is that they need to make sure that the projector itself isn't going to be some novelty feature and that it is focused on and developed properly. Holograms are some of the other things that are just downright cool to look at. We're still far from the days of Star Wars technology, but we've already seen some holographic projection at events like Coachella. 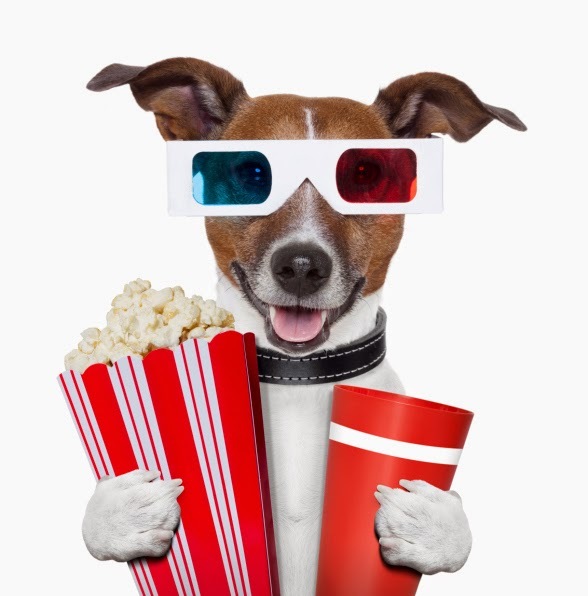 The closest thing we can get to right now for consumers, however, are projectors that allow you to see in 3D without the need for the glasses. While it may seem like we are backpedaling when it comes to this, there is something to consider; price. It takes thousands of dollars just to MAKE a holographic projector, therefore, the mark up price would make it basically impossible for a mass consumer market. It is really good idea, and I'm all for playing video games via holograms. The developers for this type of technology only need to continue to developing it in order to make it affordable for consumers. The good thing is that we're not far from this technology. Interactive projectors are a bit more... impractical in my opinion. That is, at least, for the moment. There seems to be just too much that could go wrong with it in my opinion. The projector, cameras, and sensors, would have to go through constant recalibration, I feel. The idea itself is good for presentations. Make an interactive projector that can spruce up a business meeting and make it a bit more lively. That's completely fine. For use in a consumer mass market? I don't see it happening right now. Only reason being because of the limitations of the current technology we are using. Microsoft's Project Ripple has a good idea of where I feel interactive projectors should go. Couple that with holographic technology and you are basically in Iron Man's lab. Add in portability on top of the other two and you may as well be in the movie Tron. All of these ideas and technologies sound promising. The only thing to really decide is what sounds MORE promising right now? The next step will be crucial in how projector sales continue. Yes, businesses will always need projectors, and that's fine. The real money lies within the mass consumer market though. In my personal opinion, I feel that portability should be the biggest concern for projector developers right now, simply because that seems to be the big trend right now. It's better to adapt now, and increase sales, than wait and deal with the consequences. Portable and Pico Projectors FTW. Usually when people talk about projectors it's all about the high-end models. Normally people are all about the next big thing in projector technology that is capable of turning their home entertainment center into something truly special. As a result, low-end devices are put by the wayside. I find this fact a little sad, especially considering that there are some truly remarkable low-end projectors out there that are perfect for what they are designed for. A compact, inexpensive and portable projector can sometime be the perfect solution for anytime/anywhere projecting. Enter the Epson MegaPlex MG-50 3LCD projector. Epson was offering refurbished versions of this device, which brand new runs for $699.99, for a staggering $239 shipped. That is an incredible deal under any circumstances but gets even better when you realize what the MegaPlex MG-50 3LCD has to offer. 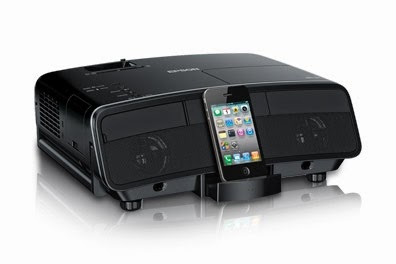 The MegaPlex MG-50 3LCD projector from Epson is a self-contained home theater projector that comes equipped with loud, built-in speakers, a convenient carrying handle for easy portability and a dock that is compatible with 30-pin Apple devices, allowing you to connect an iPod, iPhone or other Apple product. 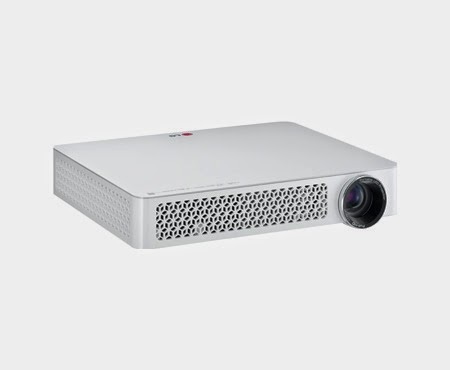 Regardless of what you connect to the MegaPlex MG-50 3LCD you are guaranteed to get 2,200 lumens of brightness thanks to the projector's 3LCD engine. Although while this output is pretty good there is one downside and that is the resolution of the projector. The MegaPlex maxes out at only 960 x 540 pixels, which is just under high definition. While this resolution is pretty good for casual movie watching it probably won't do the trick for avid movie aficionados. 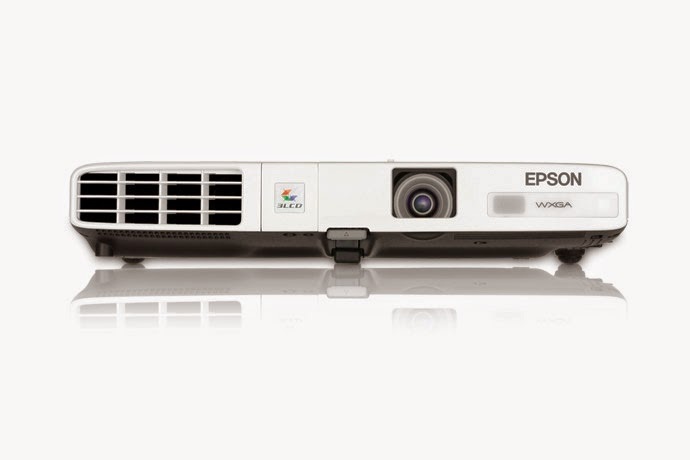 However, if you are looking for a solid, portable projector for an astounding deal then you can't go wrong with this refurbished deal from Epson. Discounts like this don't come around every day so it's essential that you strike while the iron is hot and snag one of these while you have the chance. Like I said, most people are preoccupied with the high-end spectrum of the projector market but it can definitely benefit you to look into the low-end every now and then. We live in a world where technology and science are constantly changing around us. We are more mobile as a society and, day by day, we are becoming more advanced and efficient in the way we conduct business. We are always looking for new ways to make ourselves a bit more mobile and efficient though. 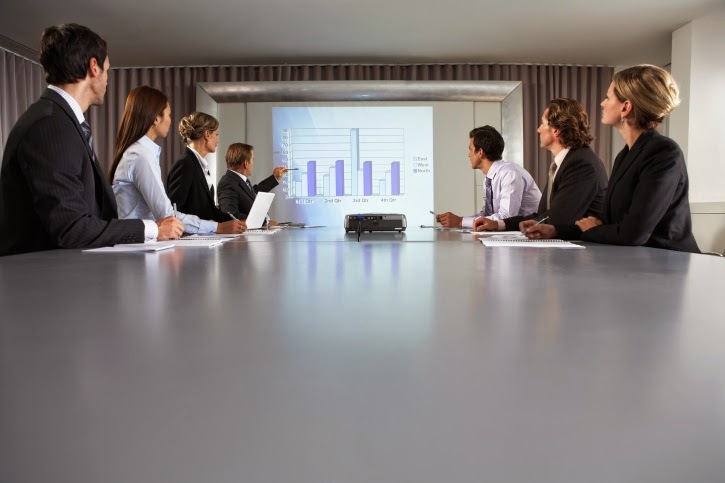 When you go into a business meeting, one of the main focal points may be the images coming from a projector. Projectors are becoming more and more advanced. You can store images and video files directly to these machines and play them right there at the meeting. Whether being used for business or entertainment, projectors are becoming more computer-like as the days go by. As often as we are all on the go, the thought of mobility comes to mind. You can't just take your company's projector home if you want to load something onto it. This is where the pico projector comes in. I feel that, eventually, pico projectors are going to be the kings of the projector world. Now mind you, my thought process and opinion are not without reasoning. Think about this for a second. Originally we had landlines or "home phones". Now, I'd be surprised if anyone reading this still has an operating home phone that they legitimately use. The cellphone/smartphone has taken its place. It's more mobile. Desktops and laptops used to be the only way to surf the web, listen to music, send emails, and more. Then came the tablet. Virtually every consumer tech company out there is coming out with, or has come out with, their own tablet. Laptops gave us the sense of mobility that the PC didn't. Then came the tablet, which made us even more mobile. PC's are almost obsolete. The point I'm trying to make here is that we are a society driven by efficiency and mobility. The pivotal changes in technology show the future of what's to come. The cell phone took over the landline. The laptop took over the PC. The laptop is, slowly, being overcome by the tablet. It seems only obvious to me that the pico projector will eventually overcome the standard business projectors we use today. As businessmen and women, we are always on the go. We're always looking for a way to make our company more successful with less effort and more efficiency. The fact that pico projectors are completely mobile, rechargeable, and can have images and video files stored directly onto them (like their larger, more stationary counterparts) could make more of an impact than we realize. With the mobility of the pico projector, we are allowing ourselves to always have a backup projector should the meeting room's projector not work. We're allowing ourselves to have our entire presentation in the palm of our hands. We are able to show our presentation whereever we would like. We can store all of our necessary information directly to the device, without having to worry about the flash drive we may have left at home. 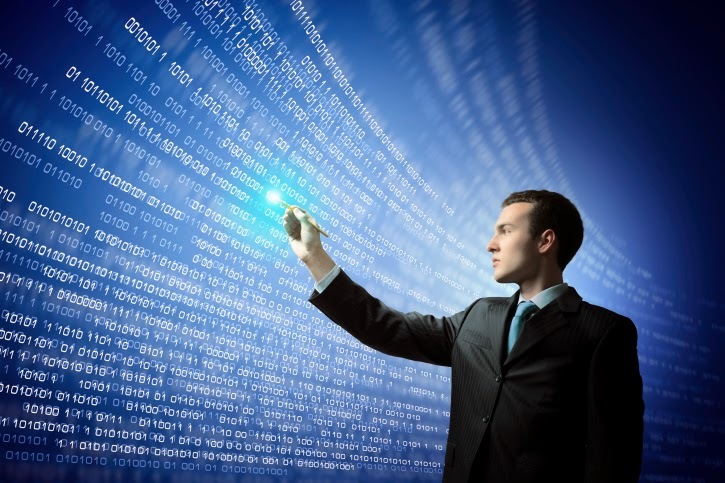 Technology is quickly moving along with the needs of a more mobile society. I feel it's only a matter of time before the pico projector takes over in the realm of projectors. You might as well start using them now to put yourself a bit ahead of the crowd. 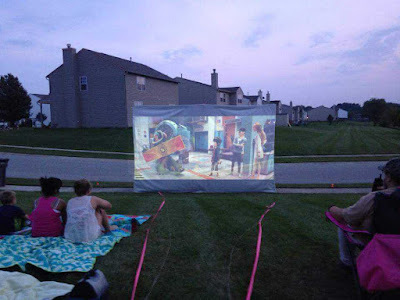 We've all used projectors before, or at least been in a situation where we were watching something on a projector screen. And we know that almost every single situation that calls for a projector also calls for the lights in the room to be turned down or off and for any other external light sources, like sunlight through a window, to be blocked as well. This is primarily due to the fact that projectors aren't quite the same as televisions or computer monitors. They are not bright enough to deliver the same picture quality that other screens can, so other lights need to be eliminated for full picture quality and brightness. However, Hitachi is set to change all of this as the company recently announced that it has developed projector technology that makes video display clearly in brightly lit rooms. The processing hardware that Hitachi is using is just under 2 square centimeters, which means that the technology itself is capable of enhancing video in everything from security cameras and vehicle camera systems to pocket projectors and home theater projectors. What this technology does is improve the visibility of the projected images without using more light. In addition to that, this technology will also be incorporated into projectors that Hitachi will be launching in the United States and Europe this spring. Hitachi's approach is focusing more on video processing, which means that instead of processing the entire image as a whole, it analyzes individual characteristics and enhances whatever is necessary. According to Spokesman at Hitachi's Research and Development Headquarters Masayuki Yoshida, "Most manufacturers simply increase the power source for the light projection to improve visibility. Hitachi's technology does not change the power of the light, but it won't make dark regions of an image completely black or lighter regions washed out." Researchers at Hitachi have developed an algorithm that is based on a model of how the human eye and brain perceive colors and light. This algorithm, known as the Retinex Theory, processes brightness, resolution and color composition while making individual adjustments for each of these factors. As a result, projectors see the enhancement of dark areas in a video without affecting brighter ones, while object outlines are better defined so they appear more distinct. What's more is that the researchers at Hitachi have also optimized the algorithm's processing sequence, allowing it to be efficient enough for commercial applications. Hitachi also developed compact logic circuits that are capable of performing real-time processing at 60 frames per second (fps) for still images and 1920x1200 pixel high-resolution video. Hitachi Maxwell plans on releasing a total of seven projector models in the United States and Europe, all of which contain the enhancement technology. 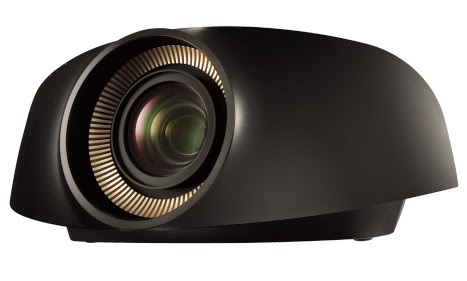 Hitachi made note to report that all seven of the projectors will feature lumen ratings of 2,700 to 3,600 and will also come with two HDMI digital inputs, allowing you to connect a variety of devices to them. "In recent years, the performance of various display devices has been improved, but it is not sufficient in comparison with the dynamic range of the human eye yet," said another Spokesman for Hitachi, Tomoko Sato. Soto added, "Therefore, visibility enhancement by image compensation has been very desirable. In order to support such needs, Hitachi has developed this technology." Are LED Based Projectors Going To Become The New Trend? The LG PG85U Projector is about to hit the market, and it might be a sign of what the future may hold for projectors. The LG PG85U is completely LED-based and has a 30,000 hour lifespan. Most pressure lamps found in normal projectors are intended to last between 2,000 and 4,000 hours and can be quite costly. With the cost of pressure lamps and the fact that they slowly degrade throughout their life, making the picture dimmer all the time and the picture less appealing, you can understand why one would be excited about an LED-based projector. All you have to do is hook it up, never worry about it again, and know that your picture quality isn't degrading every single time you use it. There are a few problems with the idea of an LED-based projector though. Yes, they do last longer, a LOT longer. But, pressure lamps are still much brighter than any LED light on the market today. For some people, this may not be that much of an issue. If you are typically viewing your projector screen in a dimly lit or dark room, it may not be a very big deal. For everyday life, and for those using it in a not-so-dimly lit room, this could become an issue. You may run into problems when factoring in screen size as well. Pressure lamps will naturally be able to supply you with a larger screen while still retaining good picture quality. An LED-based projector would probably have a hard time doing that. With all that being said, LED lights are getting better all the time. The LED lights on the market today are much brighter than they have ever been, even just a few years ago. When this projector becomes officially available to the public, it might completely blow us away. Only time will tell. Either way, I think that LED projectors are a great idea with lots of potential. LED's could be the way that the industry goes, and we may see a lot more projectors like this. 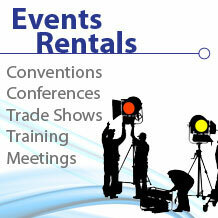 For Your Next Projector Rental Check With Rentacomputer.com Or Call 800-736-8772 Today!